A mid 19thc Provincial mahogany tilt top dining table of good colour. This piece consists of a rectangular well-figured solid mahogany tilt top. This is supported by a turned column leading down to a three-splay base. 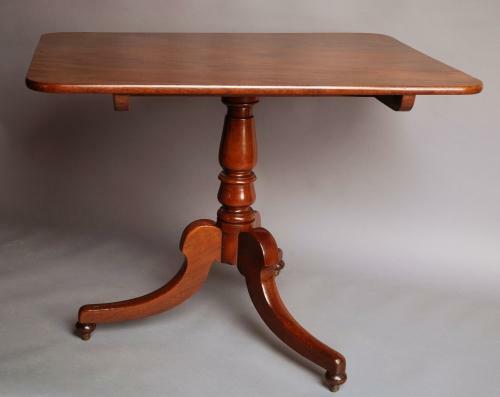 This table is in excellent condition, of stable construction and can go straight into a home.